Self-portraiture has been a popular form of expression since time immemorial. Well beyond today’s “selfie,”self-portraits are more than a quick snap of us. Self-portraits allow us to be in charge of all aspects of how we are seen, what we want to convey, the story of self we are creating in each moment. Yet, as photographers, most of us are more comfortable being behind the camera rather than in front of the lens. Why is that? Are there parts of ourselves we are afraid to show? Parts of us we dislike or have shame about? Do we have fear of what will emerge within ourselves? Do we feel we aren’t worthy of the time and attention to focus the lens on ourselves? Or maybe it’s something else. This class will explore self-portraiture, and portraiture of others, by first delving into the body and soul. Given the vulnerability that self-portraiture can bring about, we will first spend some time getting grounded through some breathing and light stretching, working to get our minds and souls centered, and into a space of lovingkindness. Next, we will explore our fears, our self-talk, and the many obstacles that prevent us from taking our own photo of ourselves. We will use journaling prompts and work in partners to awaken our true selves and allow our authentic nature to come forward. From that space, we will use our cameras to capture self-portraits and portraits of one another in a spirit of lovingkindness, vulnerability, and courage. You will learn: to create a safe space for vulnerability and authenticity to arise, and to see yourself more fully through self-portraiture and portraits created by others. Hands-on work will include: focused attention on our bodies, minds, and souls; exploration of fears regarding being truly seen; negative self-talk about self-portraits; truly seeing others and using that in your portraiture; journaling/writing, and shooting. Bring to class: a notebook/journal & pen (laptop if you really super need it to journal, but pen and paper are best! ), camera of your choosing, self-timer/remote, and tripod (if you have one). Dr. Meghan Davidson is a self-taught photographer who completed a project creating a self-portrait using Polaroid film each and every day for a year. Meghan is a lover of Polaroid and film, as well as digital photography. 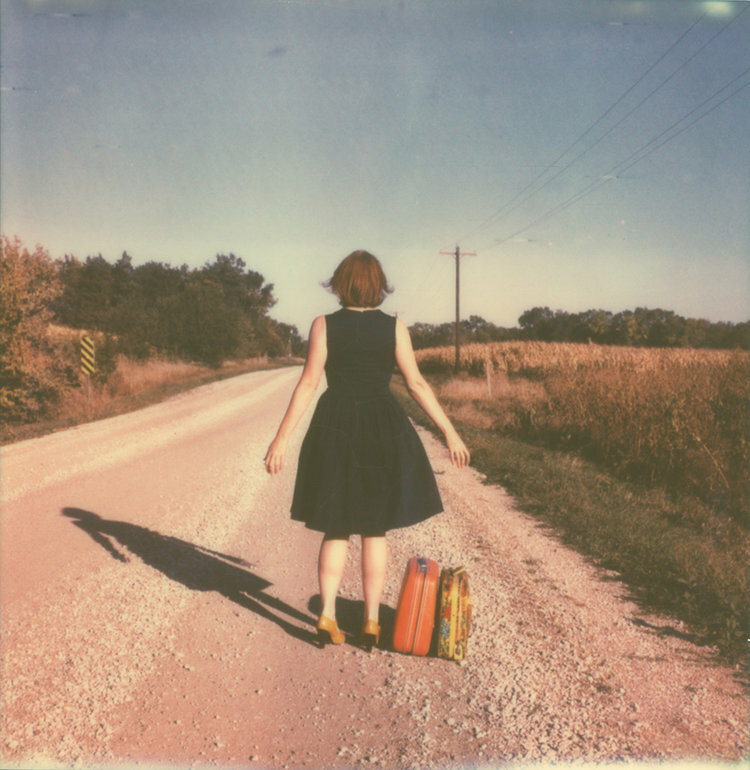 Her Polaroid self-portraiture has been exhibited at the IMPOSSIBLE Project NYC. As well, her work has been published in UPPERCASE, Digital Photo, Artful Blogging, and Mingle magazines, and included in the crowd-sourced book, This is Happening, published by Chronicle Books. Meghan has had four invited gallery shows in her current hometown of Lincoln, Nebraska, where she was awarded the Fan Favorite Award for the 2011 Lincoln PhotoFest. Meghan is also a licensed psychologist and certified yoga teacher. Her current passion is combining these two areas of psychology and yoga into a holistic approach for healing and living with purpose, intention, and wholeheartedness. Meghan’s dharma is to spread love, and help others awaken into the very best versions of themselves living their goals and dreams.